Growing up a genius is hard enough. Growing up a telepathic genius has a whole other set of challenges. Jacob Patrick David was born in a small town in New Brunswick, called Riverview. The fact that the entire town heard his birth cries in their heads was a good sign from day one that the boy wasn't normal. Then, his mother wasn't either. Gwendolyn Cooper-David was a successful doctor out of Toronto who had moved to Riverview to escape the big city politicking. She was a meta too, a telepath since her teenage years. She didn't take the being a superhero, never even tried. She simply went about her life accepting she was different. His father, Patrick David, was a carpenter, and a deeply religious man. He believed he had no secrets to keep from his family, because to lie is a sin. Jacob was slower to pick up on language skills than most babies, due to the fact he could communicate with his mother on such a direct, primal level. It was his father that turned the tide, though, insisting he speak verbally. Once he started, he advanced quickly, and by the time he entered school at five he could talk as well as any of the others starting school around him. Due to what happened at his birth, it was never a secret that Jacob was a telepath. The school was hesitant to accept him at first, but his parents insisted, and the school had no legal option of refusing service. To Jacob, the thoughts of others were like a noise in his head, all the time there but in the background unless he concentrated on bringing it forward, to hearing the voices. By the time he started school, Jacob had learned to resist the impulse to scan others, even their surface thoughts, during school. He didn't have the most perfect record, he was a kid after all, but he was always honest about when he did it. His father, after all, had taught him that lying was a sin, and since his mother was a telepath too, he learned it was pointless as well. He'd always get caught. His early teachers, though always afraid of him at first, learned to accept his honesty. A few grades, later, though, things changed. Jacob was incredibly intelligent even then. He learned very fast even without using his gifts. However, starting around grade 4, whenever he did very well, his teachers accused him of cheating. The accusations were dropped each time after his mother came to his defence, (often before the teachers had even reported the complaints to the principal, if they brought it up to Jacob),but after a few times they started giving him all his tests in a room separated from everybody else. Jacob had started to learn, too, that sometimes lying wasn't all bad. Lying to stay out of trouble never worked, but lying to protect the feelings of others, or to protect them, began not to seem so bad to him. Once he learned this, he started holding friendships a lot better. As he grew, his powers grew more advanced as well. About the time he was ten, he learned to block his mother's probes of his mind when he wanted privacy. Other times he spent hours joined telepathically with her, and from her he learned how to influence the emotions of others, and to signal pain receptors to stun people if he was in danger. 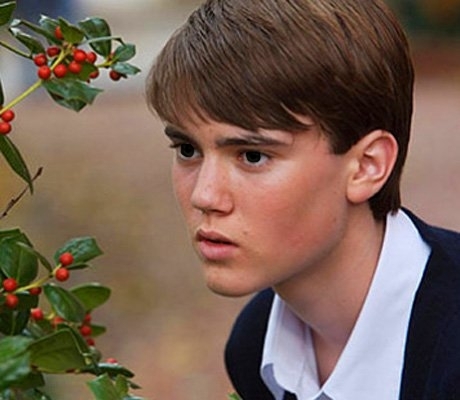 When Jacob started attending middle school, the school hired a meta-detecting teacher's assistant to detect when Jacob was using his powers, and to be sure he wasn't cheating. This allowed the boy to flourish. He could easily have started skipping grades by the next year, but his parents insisted he stay with his age group until high school, afraid more for his social development than intellectual. The event that would change his life happened in January 2007, with Jacob in his last year of middle school and just about to turn fourteen. Terrorists running from the RCMP Meta-squad came to Jacob's middle school and took his class hostage. Their minds were terrible to Jacob, their fear and hatred washing off them. For a while, he did nothing, too scared of them to try anything. When they decided to kill a hostage to show they were serious, though, choosing the girl Jacob had a crush on was the worst decision they could have made. As one raised his gun to shoot her, everybody within 2000 miles heard the word 'NO!' screamed in their head. Then Jacob lashed out at the terrorists, eyes glowing as blasts of psychic energy hit one terrorist, then the next, then the last of them. He was proclaimed a hero by the town, but from then on he had no chance of getting along with the other kids. They were now terrified of him. He was miserable the rest of the school year. It did, however, give Jacob ideas. Ideas of becoming a superhero, which he blocked from his mother whenever she was in his mind. In his small town, though, nothing ever came of the ideas, and they festered. High school was appalling. Everybody was afraid of him, even his teachers. With little hope now of being able to grow up in a normal social situation, though, his parents no longer held him back. He skipped grades left and right now he was able to flourish, especially in math where he was doing grade twelve classes while still technically in grade nine. By the time he'd finished his second year in high school, he had all the credits he needed to graduate. Finding a school for him proved harder. Most didn't accept his grades because they believed he'd cheated to advance, or that he'd be too tempted to cheat. Finally, University of California: San Angeles accepted him as an International student. Of course, at his age, moving there on his own wasn't really an option. His mother found a solution, just before his sixteenth birthday. A job offer, in fact, found her. San Angeles was looking for doctors to help fill the newly built hospitals in the new city, and her name was recommended to them by one of her old colleagues. After talking it over with Patrick, she filed the paperwork to get her license to practice medicine in California and their immigration papers, and started planning the move. Now, just weeks later, the family arrives in San Angeles with hope for the future. Jacob still holds onto the hope of helping people, using the codename Psion, but with no costume, and the fact that he's a telepath public knowledge, he's decided to try to find someone to help him figure out how to go about it. Public Super: While his codename and plans to become a hero aren't public, the fact that he's a telepath is. It's impossible to hide that he's a meta in general, with his black iris-less eyes, and it's in all his records that he's a telepath. Young: Jacob is obviously young. This can lead to many problems, everything from curfew laws to superhero registration laws, as well as people trying to protect him all the time and other such issues. He also has school and family obligations because of his age. Famous: When he was in grade 8, there was a hostage standoff at Jacob's school in New Brunswick. Like most school hostage situations, this made international news. Thus it was all over the news when not only did Jacob take down the criminals taking the school hostage, but half the continent heard his psychic scream of 'NO!' when he was pushed over the edge into doing so.